Entrepreneurship is not just for start–ups. Chapter Ten Epilogue 100 Days On. 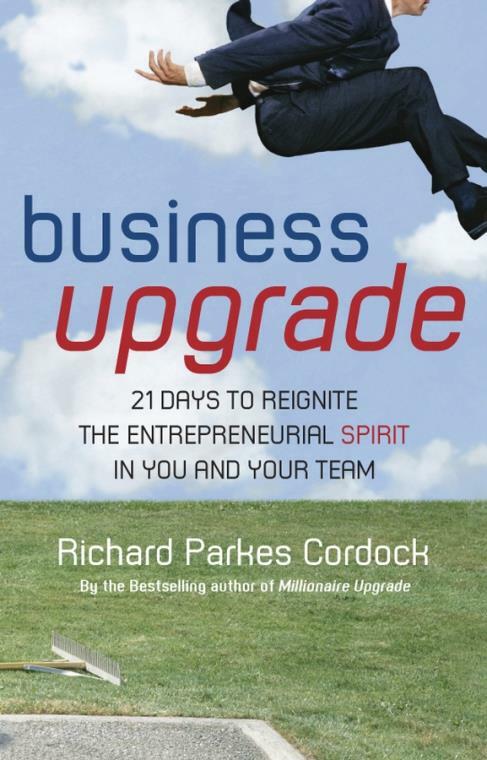 Richard Parkes Cordock is a recognized authority in the mindset, strategies and personal leadership models of entrepreneurs and self–made millionaires. Richard has met face–to–face with over 50 of the UK's leading self–made millionaire entrepreneurs and using the principles of Neuro Linguistic Programming (NLP), the science of success, has decoded their millionaire thinking. Through these digitally recorded interviews, he created the highly acclaimed mentoring program Millionaire MBA . Richard is a regular speaker on the mindset of self–made millionaires and works with companies and organizations who wish to re–ignite their entrepreneurial spirit. He is a qualified accountant, NLP practitioner and gained his MBA from the University of Monaco. He recently launched Enterprise Leaders Worldwide, a training and development organization that brings entrepreneurial training to corporations.